Carl L. Fugate, M.D. graduated from the University of Kansas School of Medicine in 1984. He then completed his residency in Family Practice at St. Joseph Medical Center, Wichita, Ks. in 1987. 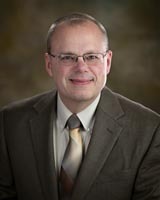 Dr. Fugate joined the staff of Beloit Medical Center, P.A. (BMC) on July 1, 1987. He is a member of the Kansas Medical Society and the Christian Medical & Dental Association Dr. Fugate resides in Beloit with his wife Mary. He has three grown sons, Joe, Ben and Josh. 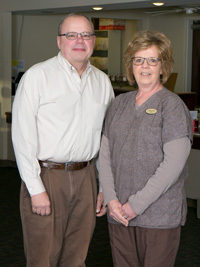 Dr. Fugate and his nurse, Jeanne Vering. Dr. Fugate is available to see patients Monday thru Friday by appointment.